I'm a firm believer in needing to find your personal passion/skill/opportunity fit as the ultimate path to career fulfillment. Only when you find a career that you're passionate about, that you can also be skilled at, and one that has sufficient market opportunity will you achieve ultimate career satisfaction. And it takes a careful balance of all three dimensions because simply finding fit along one dimension unfortunately won't result in success nor fulfillment. While most folks found value in this framework when thinking about career fulfillment, some wondered what was a viable process by which they could actually get there. They knew that the role they were in wasn't it, but also didn't know how to find their personal passion/skill/opportunity fit nor how to start heading in the right direction. To provide my perspective on this, I wanted to share my own career journey and how I specifically leveraged an explore & exploit algorithm at every turn of my career to ultimately find my dream job. Bear with me for a minute here, because I'm going to start by taking a detour and explaining a much researched problem in probability theory: the multi-armed bandit problem. So let's say you're a gambler that just walked into a casino to play the slots. 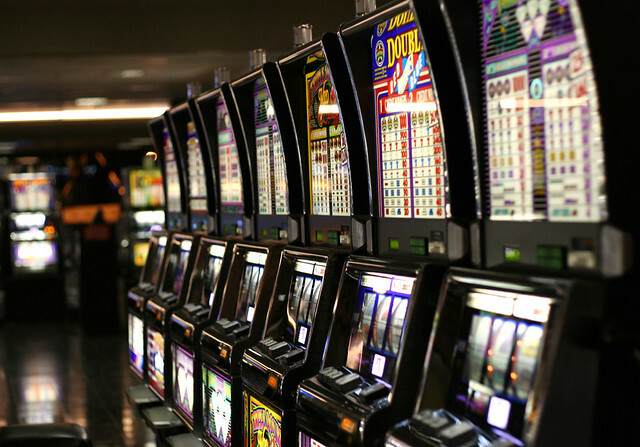 When you get to a row of slot machines, you need to decide which machines to play, how many times to play them, and in which order. Each machine delivers a random reward from a probability distribution unique to each machine. However you don't know which machines have the best reward distribution up-front. So how would you go about playing the slot machines to maximize your reward? The fundamental challenge is that you initially have no information on how well each machine does. And you only get that information when you actually play the machine. So the essential trade-off at every turn for the gambler is whether to focus on exploitation, or reaping the reward of the highest known expected payout, or exploration, getting more information on the the expected payout of other machines. There are a variety of theoretical approaches to solving the problem, but all of them take some form of focusing early on exploration to gather information on expected payouts and over time biasing towards exploitation to reap the best rewards with the information you have. Yet many of the best algorithms also focus on continually exploring even in the later stages to ensure you are continuing to gather information on what will ultimately deliver the highest rewards. This overall strategy of balancing exploration to gather new information and exploitation to reap the highest known rewards applies well beyond this theoretical gambler problem but also is the essence of the strategy I've employed to navigate my own career and find my passion/skill/opportunity fit. The approach is that early on in your career you should find as many opportunities as possible to explore potential roles and careers to start to learn information about what you might be passionate about, skilled at, and has ample market opportunity. As you progress in your career, you should continue to balance exploration of new roles, careers, and opportunities, with exploitation: spending the time to develop depth, skills, and expertise in a specific career. Yet you should never give up exploration even as you focus more and more of your energy building depth and expertise in your chosen career path. This all sounds very theoretical, so the best way for me to illustrate is to walk you through my own career journey and the twists and turns of exploration and exploitation throughout. I was lucky enough to find my passion early in life: in middle school my uncle gave me his old Apple IIc computer and I immediately fell in love. Not just with using the computer, but very quickly in high school learned how to program it to make initially games and then various apps and utilities. I remember being ecstatic when I learned that programming computers was a profession and I knew what my calling was: I wanted to develop software that improved people's lives. But that's as specific as my passion was at the time. I knew nothing about technology companies, nothing about startups, nothing about the various role in the industry. And so I knew I had a lot to learn to figure it out and was eager to do so as quickly as possible. So I convinced a local telecom, PaeTec Communications, which I knew had software engineers, to let me do a 2 week shadowing in my junior year in high school, where I literally just sat next to various technical folks all day throughout the company, observed, and helped out where I could. Sometimes that meant literally fetching the coffee. Other times they let me help them generate reports, deliver new computers to new employees, and even answer a few IT calls. What was amazing about this opportunity is that I got to see lots of technical roles in that short time. Folks writing internal software, other folks generating reports for business reporting, as well as internal IT supporting the employees, all of which was completely new to me. I worked hard to impress them and finally was able to convince them that I actually knew how to code. So my senior summer of high school, they hired me as their youngest software engineering intern to build a few internal utilities for their billing department. I actually ended up building their first "e-billing system", which converted traditionally paper bills into PDFs and emailed them to their customers for review. I had my first exposure to gathering requirements, outlining them in a spec, writing and testing the software, as well as operationalizing the software and fixing bugs as they came up in use. It was all very much over my head but some of the most accelerated learning I've ever done. This early exploration through shadowing and interning convinced me even further that I was going to study computer science in college. 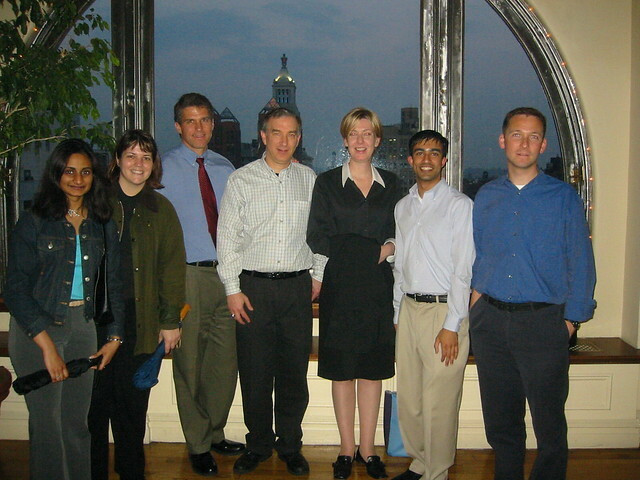 What excited me about the opportunity to study at the University of Pennsylvania was the ability to pursue a dual degree in computer science and business. I knew eventually I wanted to have my own software company and I thought the combination of business and computer science skills would enable me to do it. But along the way I ended up getting a concentration in finance at Wharton because it was what Wharton was most well known for. And my sophomore summer I decided to try out an internship at Goldman Sachs working on Banking Technology: writing software applications for investment bankers. At the time I thought this would be the perfect mix of my passion for finance and software engineering. So I felt absolutely ecstatic when I got the internship. Yet at the end of the summer I found myself feeling unfulfilled. While I got to combine my software and finance background, the apps I was building didn't feel all that important and the bankers at Goldman Sachs were the folks who were most respected, not the rest of us in "IT". So it ended up being a failure for me in finding what I ultimately wanted to do. But keep in mind: it was a cheap failure. A three month internship was by far the best possible way for me to explore whether this was for me. And it wasn't. And that's OK. 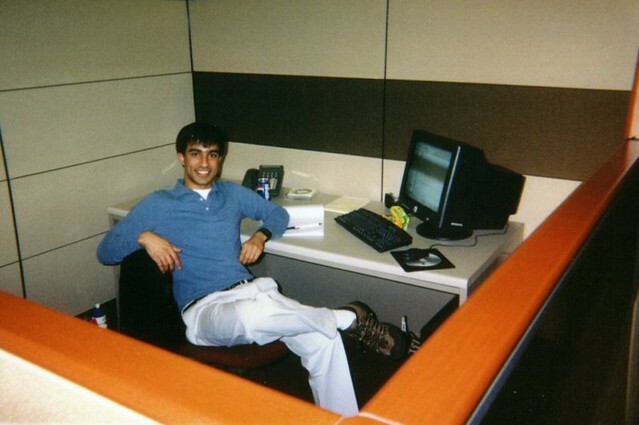 The subsequent summer I went on to intern at Microsoft. The twist was that the Microsoft recruiter encouraged me to apply for a role as a program manager given my business and computer science background. While I had never heard of the role, it sounded intriguing so I gave it a try. And that's when I ultimately discovered product management and at the end of the summer realized that was exactly what I wanted to do with my career. It got at the core of what I loved about software: designing software to delight users and improve their lives. I didn't feel a dying need to write the software myself so much as help shape what it would ultimately be. And thus began my career in product management. While at Microsoft in the program management role, I knew I loved the job, but I was frustrated that the scope of each program manager was only a small set of features. I wanted my scope to be larger across an entire product. I had learned that product marketers had a focus of the entire product and were far more customer-facing. And I had always loved spending time with customers. So after a year and a half in product management, I asked if I could take a role in product marketing at Microsoft. And I did exactly that. While it fulfilled my desired to have a "broader scope" of the entire product, I now felt so disconnected from having a strong influence on what the ultimate product would be. And I deeply missed it. After six months I knew that product marketing wasn't for me and I was done. Despite working at Microsoft, I always had an itch to try my hand at my own startup. So after 2 years at Microsoft, I left to startup a company with a couple of buddies. 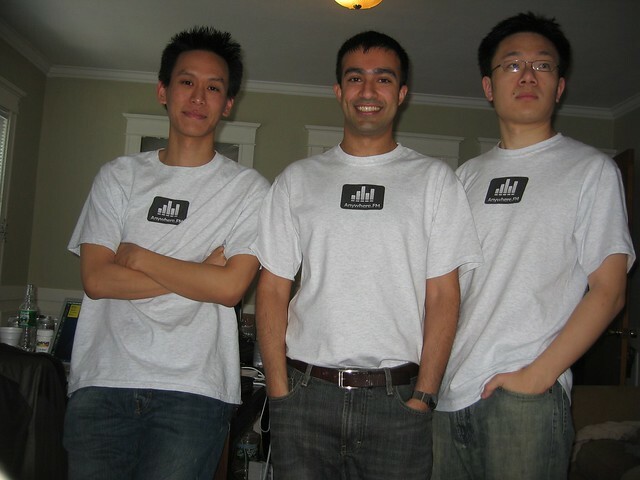 We knew we had no idea what we were doing, so we were excited to get into the Y Combinator accelerator program. It allowed us to work with experts to get our startup off the ground and to be in a strong community of fellow entrepreneurs going through the exact same experience. I had no idea whether startups were for me, but a 3-month accelerator program felt like an incredibly cheap way to try it out and see if maybe it was. And this exploration ultimately panned out to be an absolute hit. Once I scratched that itch of being an entrepreneur, I knew that bringing brand new products to market is exactly what I loved, whether at my own startup or at established tech firms. For my next startup, I took an opportunity to join Trinity Ventures as an Entrepreneur in Residence, which ended up being the perfect exploration phase for figuring out my next startup. I spent months investigating, researching, and doing due diligence on a variety of startup opportunities before I picked the one that I ultimately decided on. This ended up being an amazing way of exploring founder/market fit: finding the startup opportunity that exemplified passion/skill/opportunity not just for me individually, but for the business as well. While I'm now pursuing a new startup that I'm absolutely passionate about that fulfills all my requirements for passion/skill/opportunity fit, just the other week I went through a quick exercise because I found myself continually excited about many of the frontier tech opportunities that have recently emerged: whether it's brain-computer interfaces, virtual reality, or the new space age. So I took a weekend to think through and explore what pursuing those spaces would actually look like. While the ultimate conclusion was exactly what I expected (that I'm already pursuing the opportunity that is the very best passion/skill/opportunity fit for me), I still believe that the time spent in the exploration was absolutely worth it. Was reflecting on the technologies I find most inspiring for our future: brain-computer interfaces, virtual reality, a renewed space age! The reason I went through all the details of how I've continued the exploration phase even late in my career while continuing to exploit and build depth of skills and expertise as both a product manager and entrepreneur is that too often I find folks in the middle of their career feeling trapped: feeling that they are not in their ideal job but feeling like they would have to start all over to explore alternative career options that may ultimately not pan out. It often results in risk aversion with them "settling" for their career without necessarily finding fulfillment. My hope is to convince you that if you think creatively, there are many ways to explore alternative options in light and cheap ways that will ultimately help you get closer to your own passion/skill/opportunity fit. And that the exploration is always worth it, even when you think you are already pursuing your dream job and even when the fruits of that exploration don't pan out. I hope you take this opportunity to think about where you are in your own career's explore & exploit cycle and how you can continually find ways to explore to ensure you ultimately find your own career fulfillment.